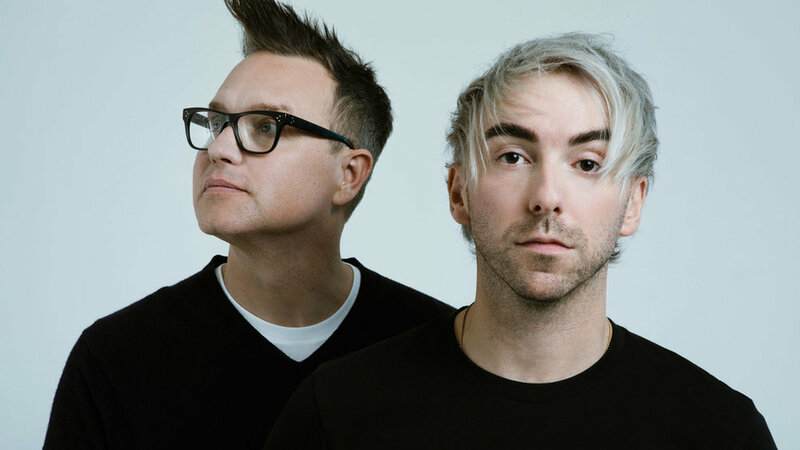 Mark Hoppus (Blink-182) and Alex Gaskarth (All Time Low) have announced this morning that they have a new band called Simple Creatures. So far there isn’t much information but the band’s Twitter page says that account was originated in June 2010. Along with the announcement the duo released their debut single titled “Drug” and Kerrang has reported that the band’s debut EP will be coming in March. 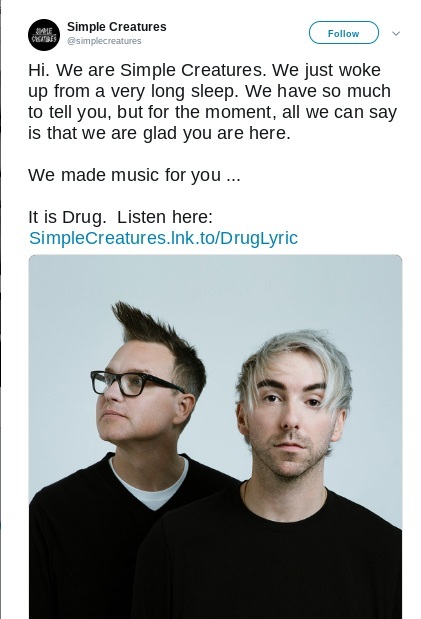 Check out Simple Creatures’ official announcement below as well as their debut single “Drug”.